Bridal fashion changes year to year, but wearing something in your hair and having earrings, and a bracelet to match is something that is always popular. Pearls and crystals are a continuing trend as they complement a white or ivory dress. Ideally, brides should choose wedding accessories they will continue to wear long after the big day. 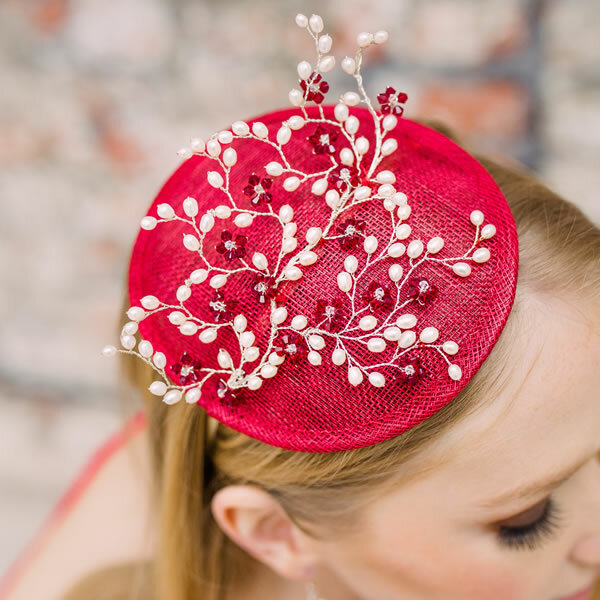 Hermione Harbutt creates award winning bespoke bridal accessories that are individually handmade from gemstones, Swarovski crystals, and freshwater pearls. The Hermione Harbutt wedding accessories range consists of wedding earrings, wedding bracelets, bridal tiaras, wedding necklaces, wedding hair accessories and other delights such as broaches and rings. Hermione Harbutt aims to provide exemplary wedding accessories to the discerning bride. International brides can also benefit from this high-class bespoke wedding accessories design service via telephone and email consultation. Please contact us anytime to arrange a Skype or video chat appointment. These are generally available 10 – 4pm UK Thursdays, Fridays or Saturdays. For further information, or to book an appointment, please contact Hermione Harbutt.